Biscuit brand Fox’s, has replaced hard working SCARA type robots with Kawasaki robots to overcome efficiency issues relating to obsolescence. Kawasaki says the move away from SCARA configuration to conventional six axis arms illustrates the affordability and efficiency gains offered by today’s advanced robotic designs. 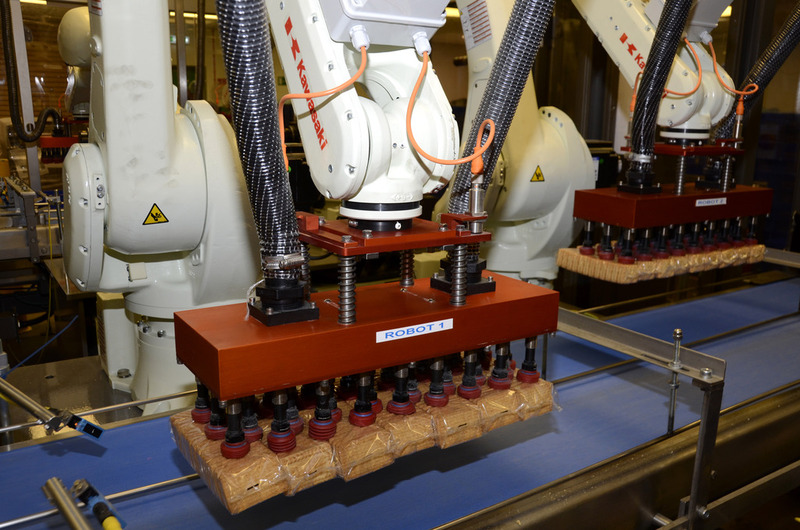 Back in 1998 Fox’s Uttoxeter facility first implemented robotic handling of wrapped biscuits, reducing operators from 34 to just 14, using SCARA configuration robots. Designed originally for high-speed handling and assembly, the arms operated at their upper efficiency range for 80,000 hours before a complete rebuild and a further ten years operating rendered them obsolete and operating at just 70% efficiency. Out of three replacement options proposed to Fox’s only Kawasaki suggested a move back to conventional six axes arms. Through simulations Kawasaki Robotics UK was able to illustrate that the RS-20N Robots would cost effectively match, and exceed if required, the output of the existing SCARA robots. 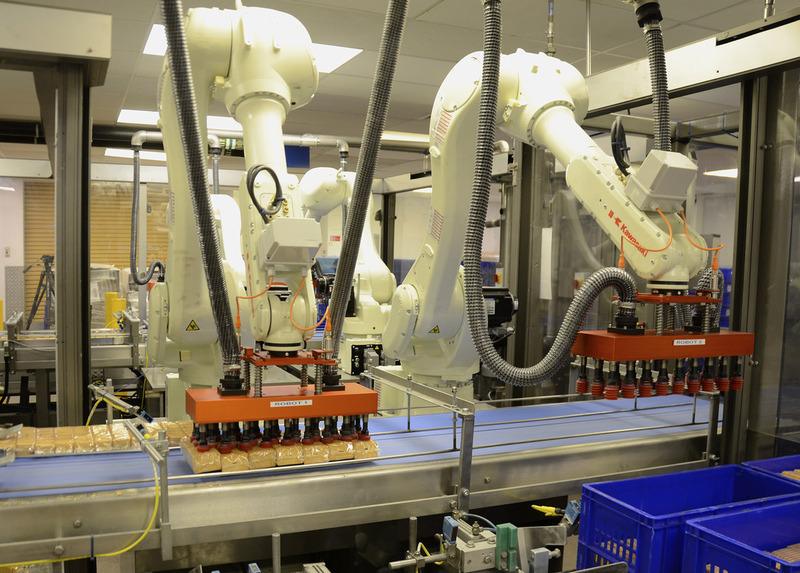 Integration of the replacement robots and the updating of control and peripheral equipment was carried out by Bristol based food and beverage automation specialists Visppro Limited. As an existing supplier to Fox’s and familiar with the production line, Visppro were ideally suited to ensure a smooth transition over a 14 days period. The production area produces variety packs, each pack comprising 4 separate packs of biscuits, typically Nice, Bourbon, Malted Milk and Custard Creams. 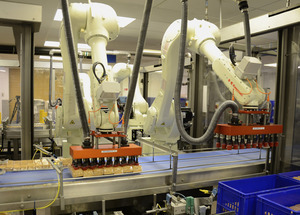 Each robot’s job is to load an input conveyor with packs of one type of biscuit from a tote bin; four conveyors, one per biscuit type, transport the biscuits to a collator which feeds four packs of different biscuits into a wrapper. After the wrapping, completed packs pass over a metal detector before entering a carton erector. “The robots are working well within their capacity and efficiency is already in the high 90’s,” David continues. “This is a very important product to Fox’s and several production lines feeding it biscuits are reliant on its continued uptime. Prior to installation we built up 14 days of stock so the pressure was on Visppro to meet the deadline. Moving from Scara robots to conventional six axes robots offers considerable benefit to Fox’s besides overcoming the obsolescence issue. The system is configured so that if required one robot could load across two conveyors allowing for maintenance or unplanned outage. 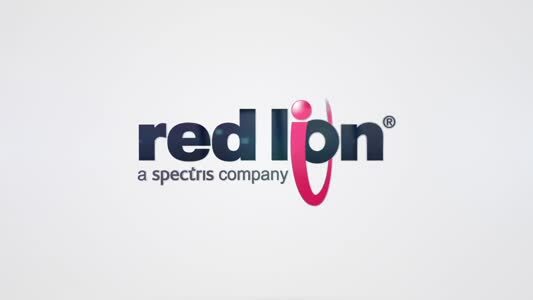 Programming is straight-forward with revised location functions being enabled through the system PLC.